Woody Guthrie | Auggie's Diner "Style"
Woodrow Wilson "Woody" Guthrie (July 14, 1912 – October 3, 1967) is best known as an American singer-songwriter and folk musician, whose musical legacy includes hundreds of political, traditional and children's songs, ballads and improvised works. 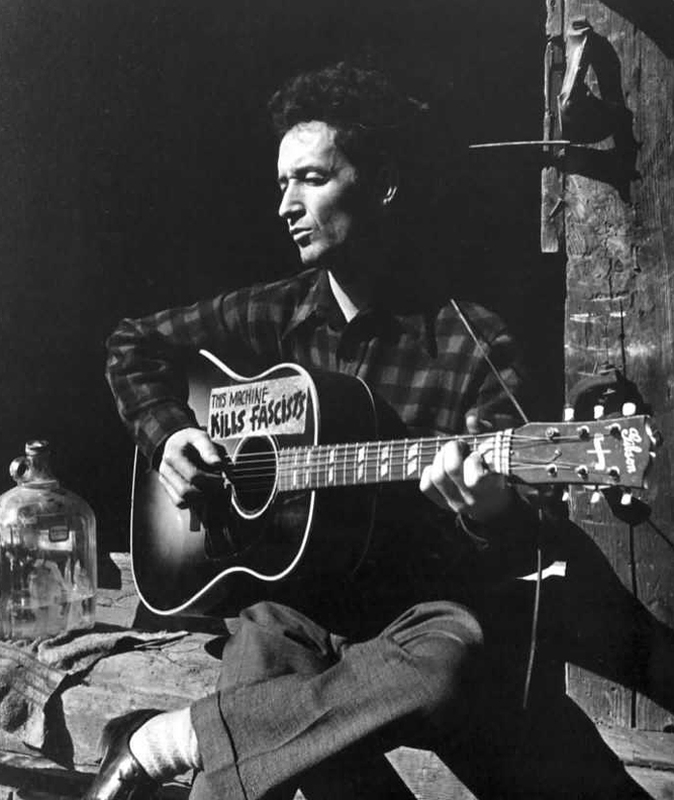 He frequently performed with the slogan This Machine Kills Fascists displayed on his guitar. His best-known song is "This Land Is Your Land", which is regularly sung in American schools. Many of his recorded songs are archived in the Library of Congress. He is considered by many to be the greatest political songwriter of the Twentieth Century. Guthrie traveled with migrant workers from Oklahoma to California and learned traditional folk and blues songs. Many of his songs are about his experiences in the Dust Bowl era during the Great Depression, earning him the nickname the "Dust Bowl Troubadour". Throughout his life Guthrie was associated with United States communist groups, though he was never an actual member of any.